Fotofestiwal, one of the first photography events in Poland, is currently accepting submissions for its Grand Prix competition for 2014. Grand Prix Fotofestiwal is organized every year, the competition is open and there are no thematic, age or geographical restrictions. One (1) winner and eight (8) finalists will be selected in 2014 and 10,000 Polish złoty (about 2,300 Euro) will be awarded to the winner. 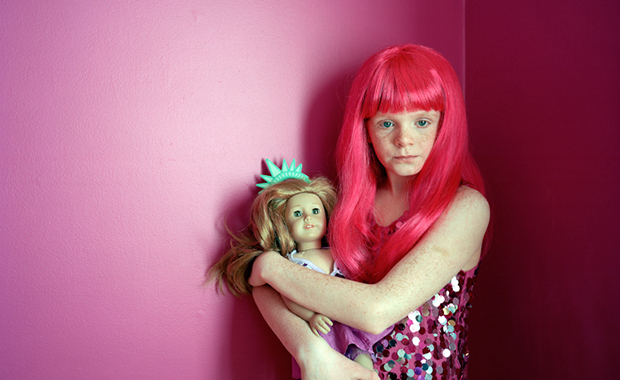 Works of the winner and the eight finalists will be presented and exhibited during Fotofestiwal in June 2014. This Call for Submissions is directed at individual photographers. The Organizer – International Festival of Photography in Lodz – is awarding the prizes to those artists who present cohesive ideas, brave visions as well as excellent photographic technique and who use the photographic language in a conscious manner. The Organizer also wants to present interesting personalities and new trends of contemporary photography. Grand Prix Fotofestiwal 2014 Jury consists of: Peggy Sue Amison, Krzysztof Candrowicz, Louise Clements, Claudia Hinterseer, Adam Mazur, Rafal Milach, Marta Szymanska, Jakub Swircz, Erik Vroons. The registration fee is 100 Polish złoty (US $35 or 25 Euro). Snapshot from Method Studios' Super Bowl 2013 spot for KIA, featuring high-tech auto show girls known as ‘Hotbots’.